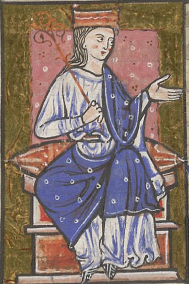 Ethelfleda (kî-tha siá-hoat: Æthelflæd, Aethelflaed; ? - 918 nî 6 goe̍h 2 ji̍t) sī Anglo-Saxon bîn-cho̍k ê Mercia ông-kok thońg-tī-chiá. Aethelflaed, 300 Women Who Changed the World, Encyclopædia Britannica.